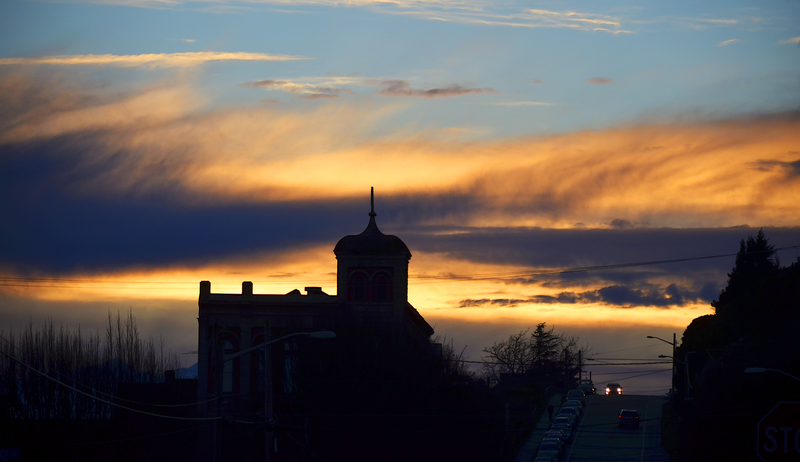 This was taken as I was heading into downtown Port Townsend to workout at the gym. One thing I seldom experience here are sunsets. I can’t really see them without driving out to a location where there aren’t obstructions like buildings, hills and trees. I see many more full moons and rainbows than vivid sunsets. But how could I ever complain about that?